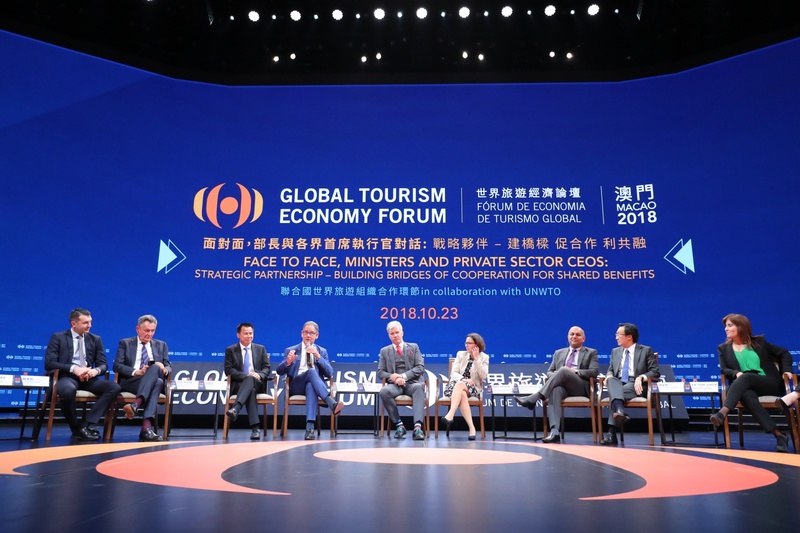 Under the theme of “Strategic Partnership in a New Era, Rising Momentum for a Shared Future”, the Global Tourism Economy Forum • Macao 2018 (“GTEF” or “the Forum”) features a series of thought-provoking discussions and exchange sessions, as well as business matching and an exhibition, among other program highlights. 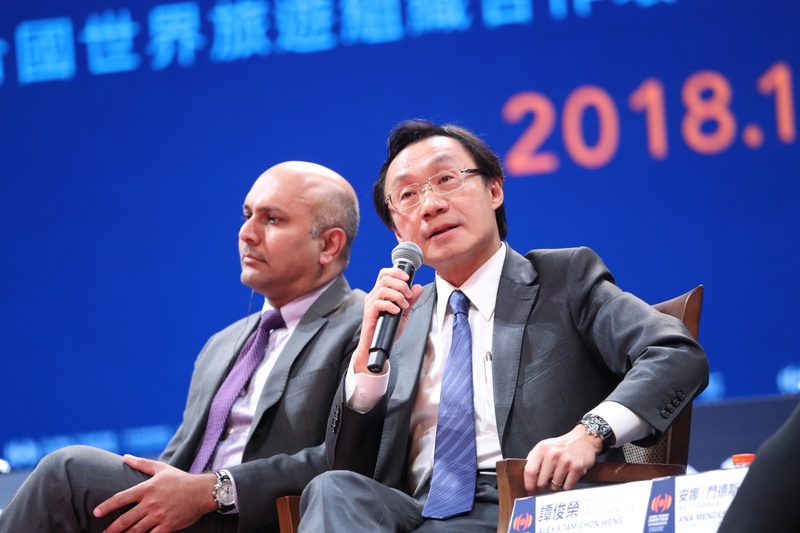 Various discussion panels were unfolded at MGM Cotai in Macao. The two-day programme of the Forum is held on 23 and 24 October. 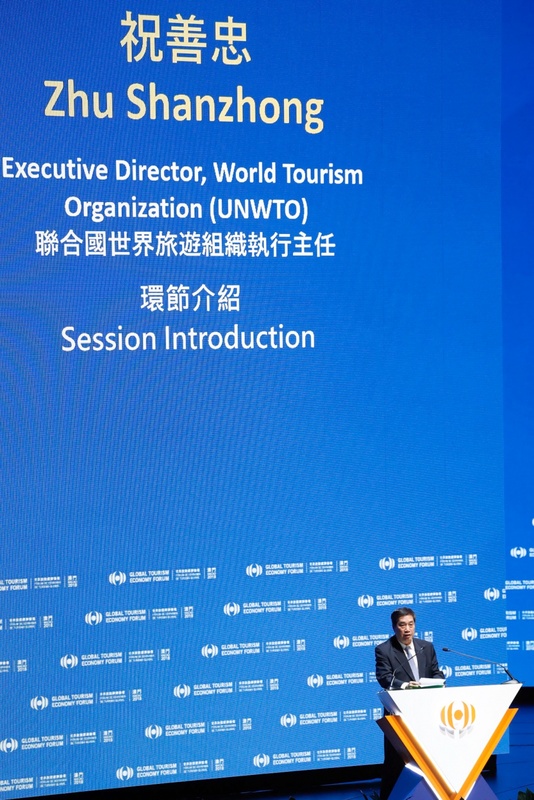 In collaboration with the World Tourism Organization (UNWTO), the signature session “Face to Face, Ministers and Private Sector CEOs” unveiled the Day 1 agenda of the Forum. Coming from different countries, ministerial and government officials joined enterprise leaders to proffer their insights as guest speakers. 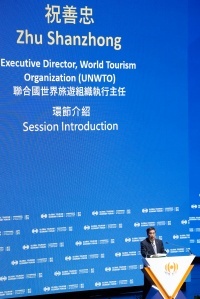 Executive Director of UNWTO, Zhu Shanzhong, delivered an introduction of the session under the topic of “Strategic Partnership – Building Bridges of Cooperation for Shared Benefits”. Guest speakers led an insightful dialogue on the new opportunities brought by 2018 EU-China Tourism Year for China and EU member states to widen their scope of collaboration, as well as how to leverage powerful means such as innovation, technology, travel facilitation and connectivity to enhance cooperation leading to concerted and sustainable development. The panelists include Director General for Tourism and Regional Policy, Federal Ministry for Sustainability and Tourism of Austria, Ulrike Rauch-Keschmann; Vice Minister for Economic Development of Ministry of Economic Affairs and Communications of Estonia, Viljar Lubi; Secretary of State of Tourism of Portugal, Ana Mendes Godinho; Secretary for Social Affairs and Culture of the Macao SAR Government and Executive Chairman of GTEF, Alexis Tam; Undersecretary of Tourism Policy and International Affairs Division of the Ministry of Tourism, Arts and Culture of Malaysia, Mohd Daud Mohd Arif; Chairman of the British Council, Christopher Rodrigues; Chairman Emeritus of TUI Group and Honorary Chairman of GTEF, Michael Frenzel; President and Chief Executive Officer of World Travel and Tourism Council (WTTC) and Honorary Chairman of GTEF, Gloria Guevara Manzo; Chief Executive Officer and General Manager of Thomas Cook China, Alessandro Dassi; Chairman of Mystic Invest, Mário Ferreira; Chief Executive Officer of AS Tallink Group, Paavo Nõgene; and Chairman of the Board of Guangzhou Baiyun International Airport Company Limited, Qiu Jiachen. The session was moderated by Founder & President of Cachet Consulting and Special Advisor to the Secretary General of UNWTO, Anita Mendiratta.